This is a simple, healthy summer starter which is loved everywhere in the world. 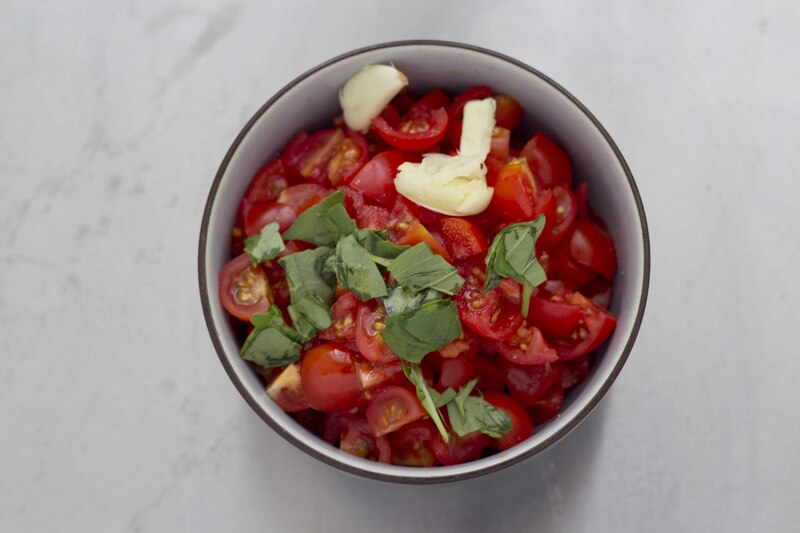 The success of this dish depends entirely on the quality of the tomatoes and olive oil used so only use the best you can find. 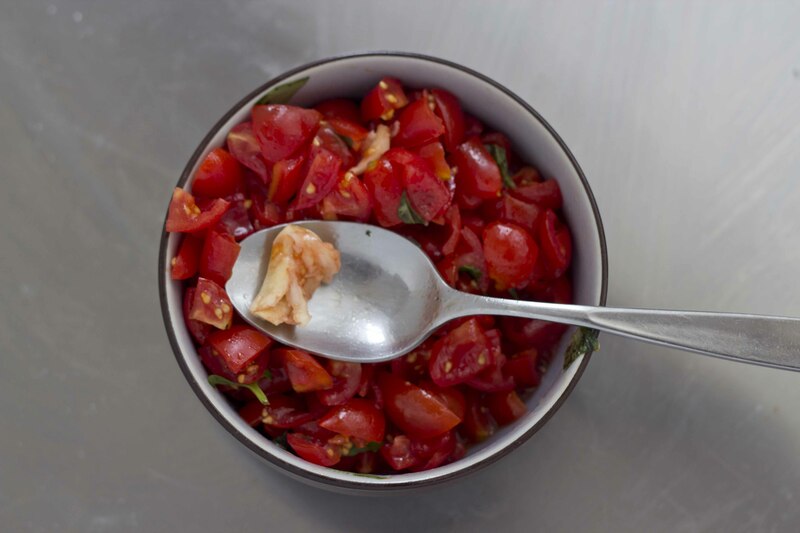 Mix together the tomatoes with 1 clove of garlic, basil, 60 mls of the olive oil and a pinch of salt. Let sit for 15 minutes while the bread is grilled. 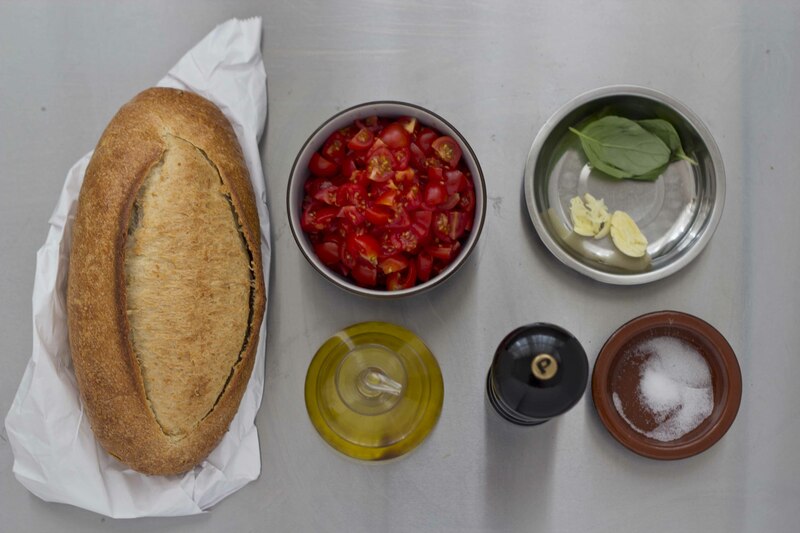 For an illustrated step-by-by step guide on how to grill the bread, click here. Heat a barbecue or a hot cast iron grill pan. Grill the bread until toasted and black lines appear. Turn over and repeat. Remove the bread from the pan and while still hot, rub the smashed garlic gently on the bread so you don't crush it. Drizzle on olive oil and sprinkle with a pinch of salt. 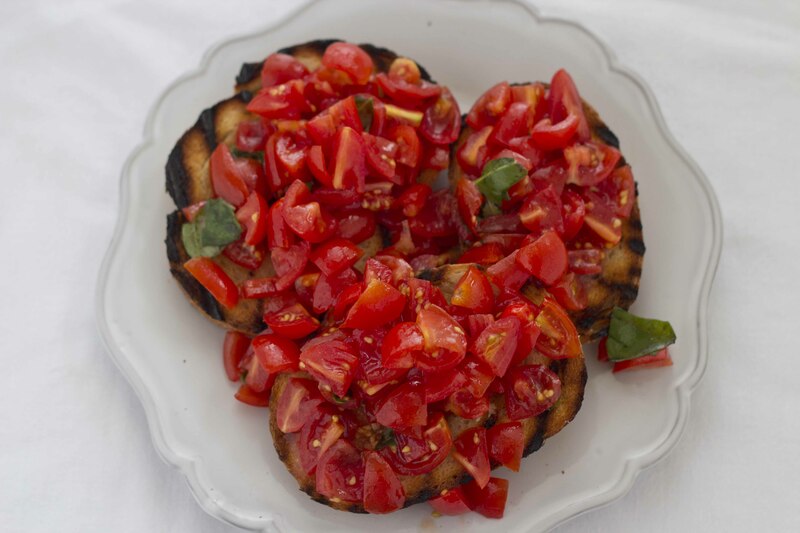 Remove the garlic clove from the tomatoes, stir and top the bread with the tomatoes.